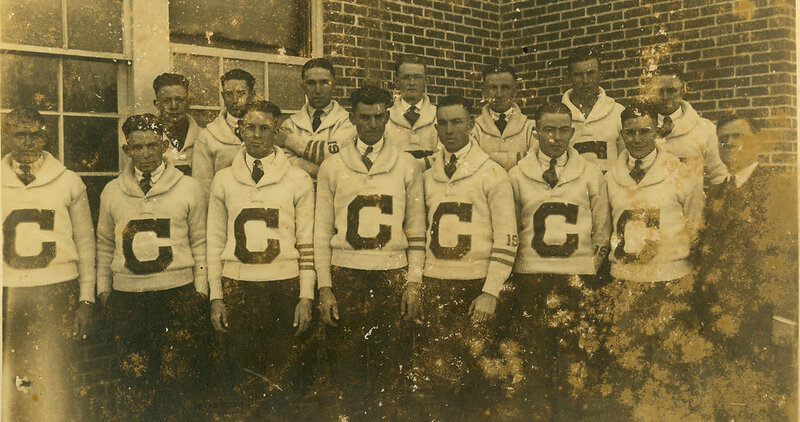 For more than 100 years, the story of Connors State College has been one of hope, challenges, triumphs and excellence. 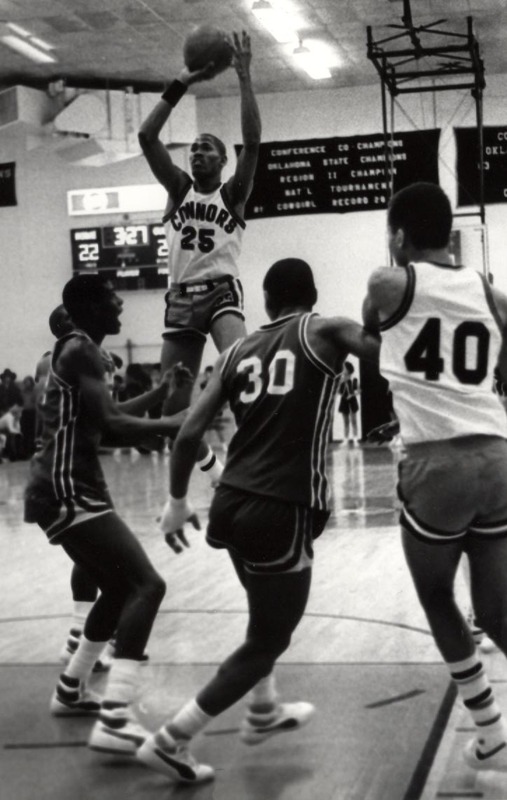 Our student athletes have been an important part of a rich and distinguished history that has been recognized time and time again as a tradition of excellence. The true legacy of Connors State is not just measured by accomplishments in the classroom, on campus or in life, but in the hearts and minds of our people. We take great pride in our student athletes and how as Aggies and Cowboys they have inspired our campus and community. Their success in life, as well as on the field of play, serves as a great example of how hard work and commitment are essential to fulfilling the promise of your potential. 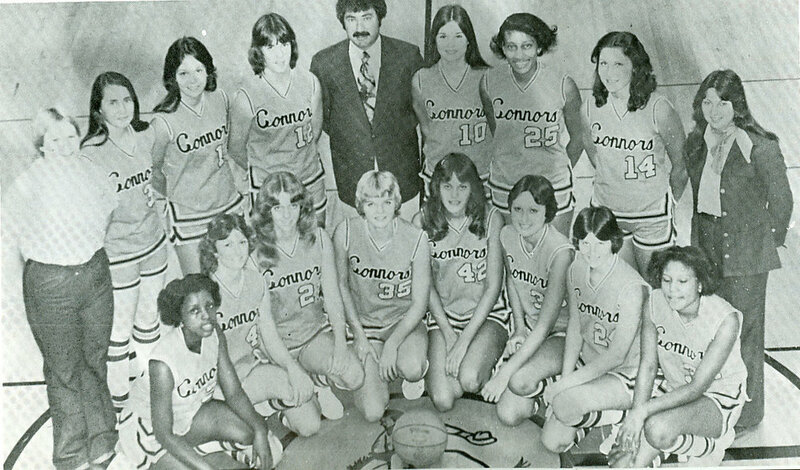 The Connors State Athletic Hall of Fame is a place to gather and celebrate our tradition of excellence as well as to continue our legacy of building futures one at a time. 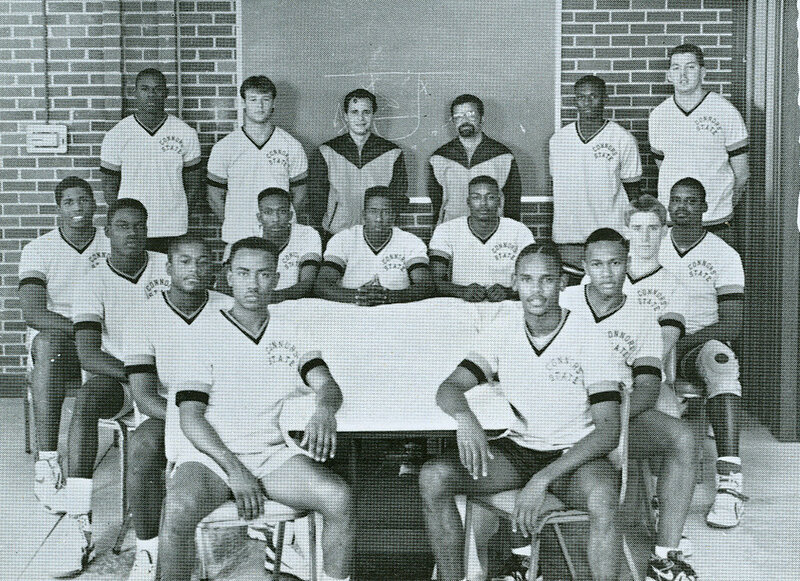 Elmore Spencer, Reggie Tinch, Sebastian Neal, Angelo Hamilton, Mike Allen Aaron Sunderland, Eddie Shepherd, Marc Whaley, John Barrett, Howard Hampton, Bryan Jarrad. 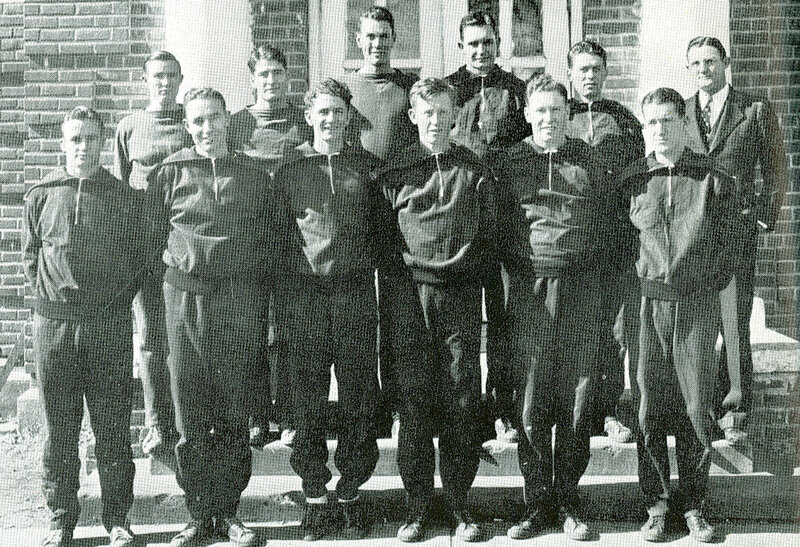 The original Gym was built in 1937-38 to replace a wooden structure destroyed by a fire in 1935. The brick building, known today as the Fine Arts Building, sits on the southeast corner of campus and was home to a basketball court, locker rooms and played host to numerous college dances. Concrete bleachers were built into the south side of the gym and were used for track meets and football games. 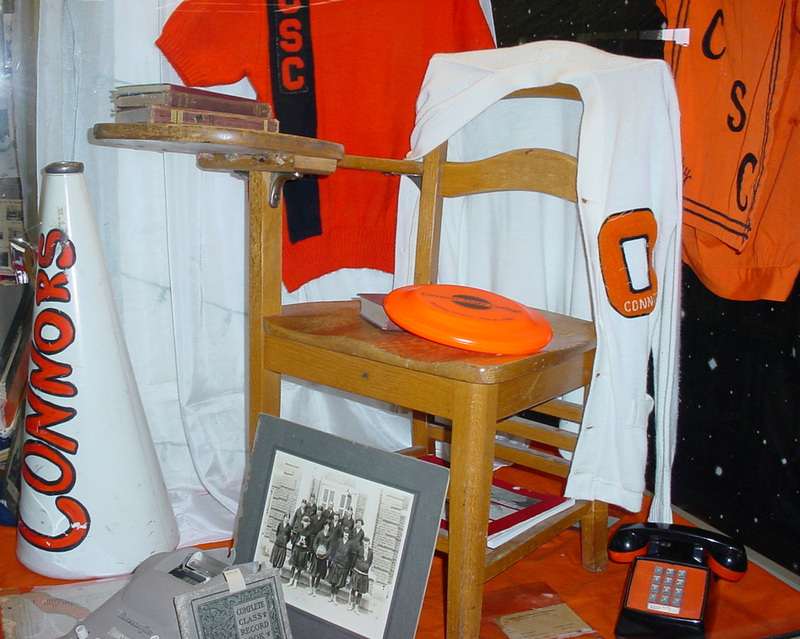 After Melvin Self Field House was constructed, the gym was remodeled into the Fine Arts Building, housing classrooms, faculty offices, music rooms and a 600-seat auditorium. Some of the hardwood from the gym floor serves as the stage floor of the auditorium. The gym construction near completion in 1938. Melvin Self Field House was constructed in 1966-67 and was named after Connors State College’s 12th President, Dr. Melvin Self. The new facility contained a basketball court, collegiate-sized swimming pool, coaches offices, locker rooms and a couple classrooms. Expansion began in 1982 with the addition of a hospitality room, multi-purpose room, fitness center and additional office space. By 2000, the Field House upgraded some of its facilities with new bleachers, a new concession stand and additional restrooms. 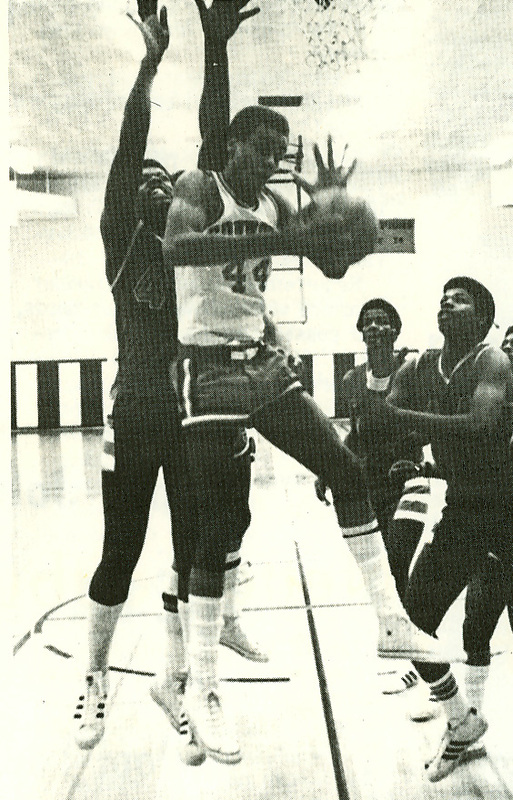 Melvin Self Field House, 1972. The baseball field was constructed during the ’50s and in 1997, after a generous donor provided the Cowboy baseball program with its first lights, it was named “Biff Thompson Field.” Thompson has continued to donate significant items to the baseball program throughout the years. 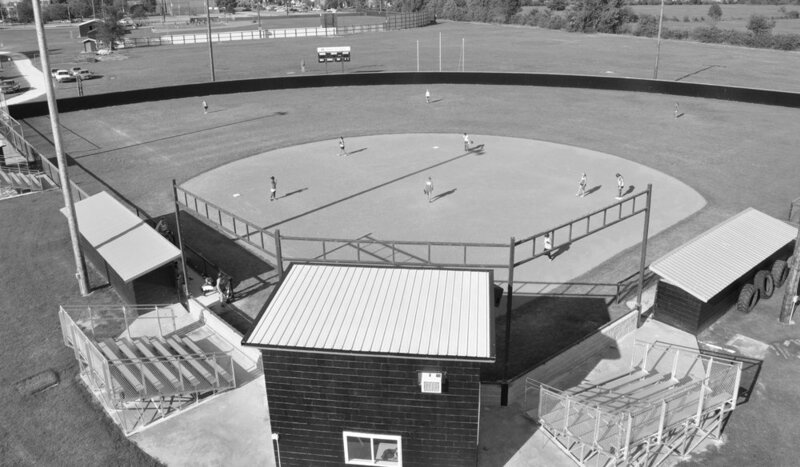 Facility expansion projects included a new press box, an indoor hitting facility, a metal outfield fence, a new set of bleachers, an updated backstop and a resurfaced infield. Softball Field The Connors State College Softball Field was constructed in 1986 in the southernmost part of campus. Both left and right field measure 200 feet, while center field is 205 feet. The facility was constructed before the first team took the field under Head Coach Clarence Lynch in 1987-88. 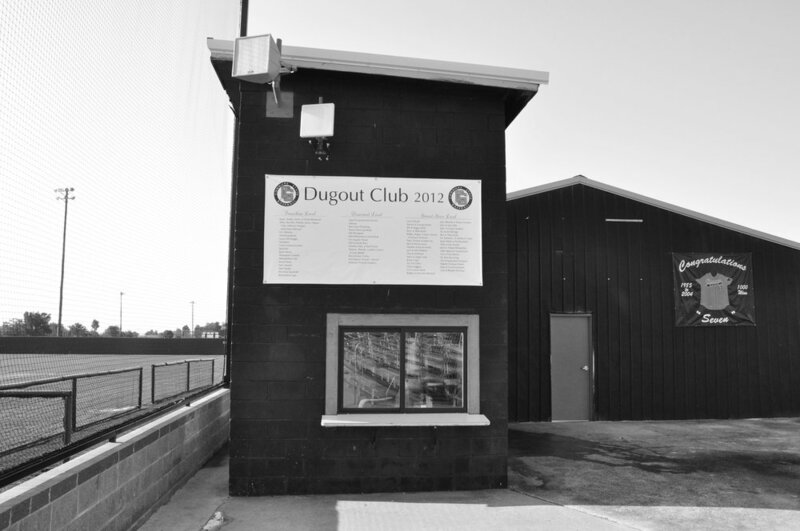 In 2011, new lights and poles, an outfield fence, backdrop bleachers and guard rails in front of the dugout were updated. 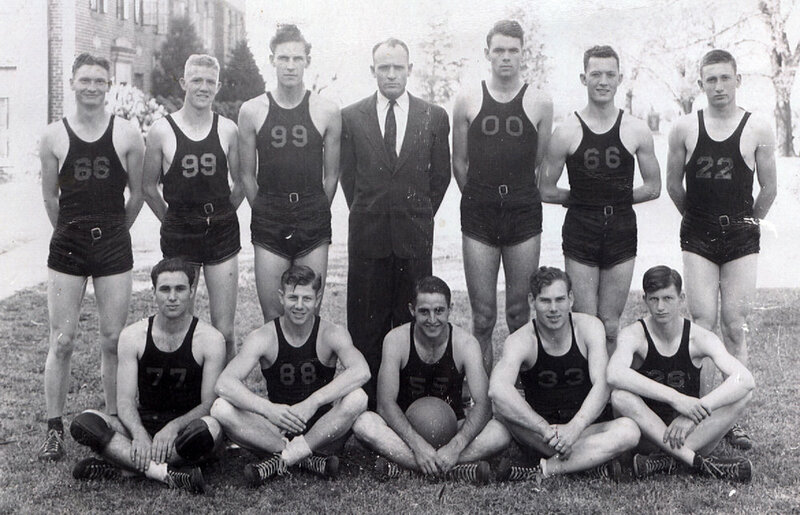 Men’s Basketball started in 1915 under the direction of the first recorded Aggies coach, J.T. Martin. 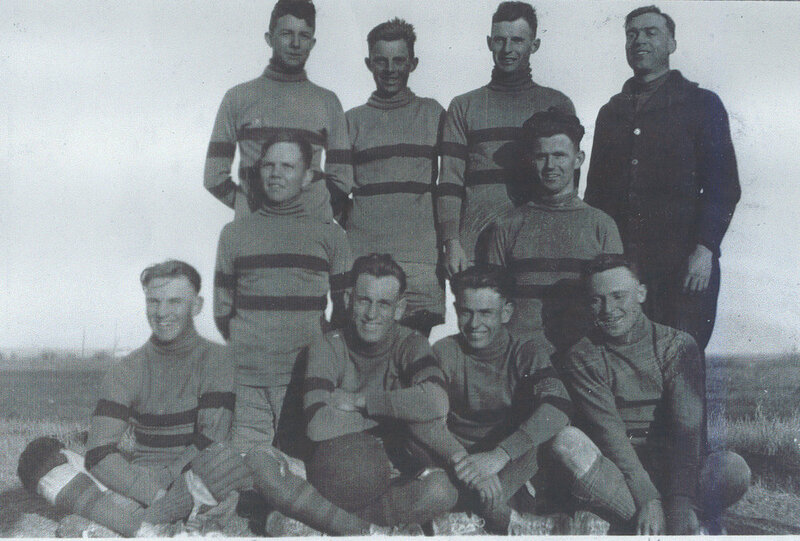 Burt Huckleberry followed as coach during the 1920s. 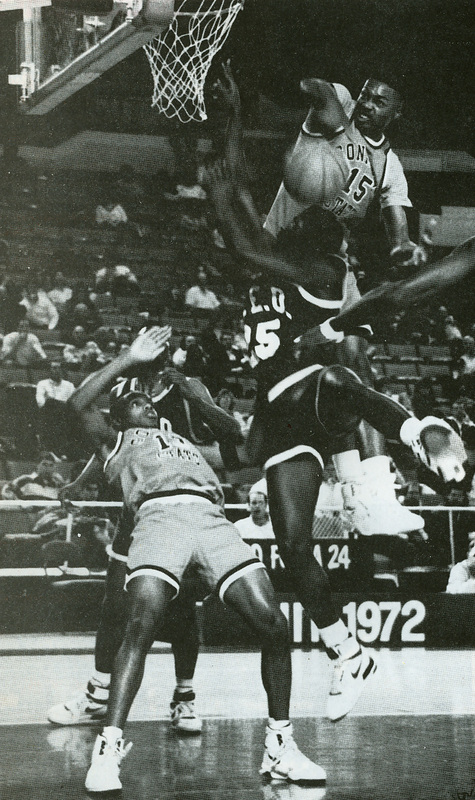 Conference play began in 1946-47. 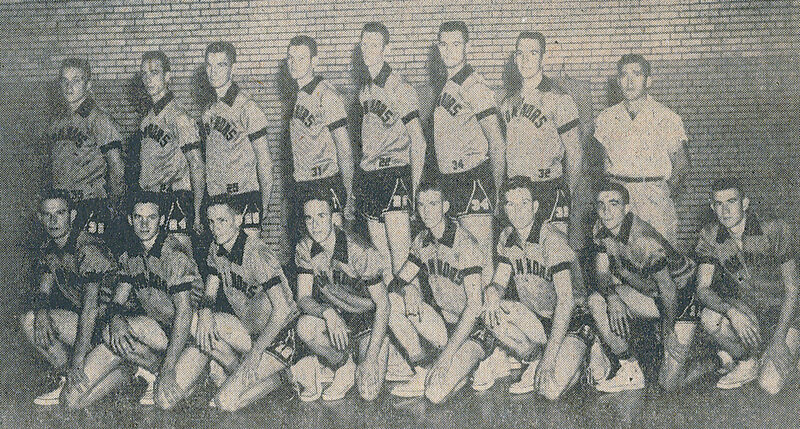 In 1947-48, the Aggies had a 15-8 record under Coach Earl Iba, brother of OSU basketball coach, Henry Iba. 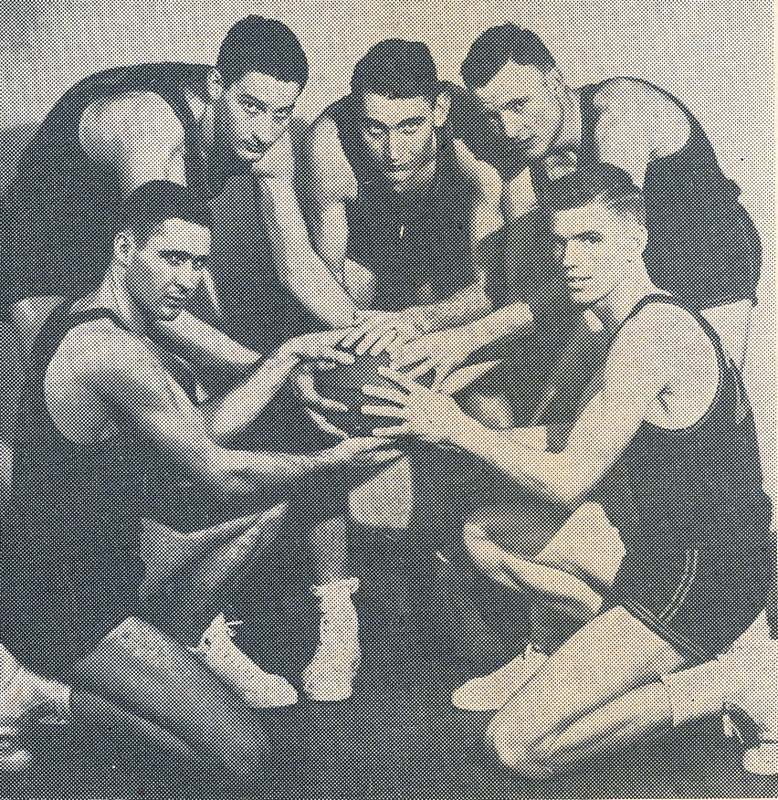 The Aggies claimed a conference championship in 1951 and repeated the next year with a conference and regional championship under Coach Bobby Jack Rogers. 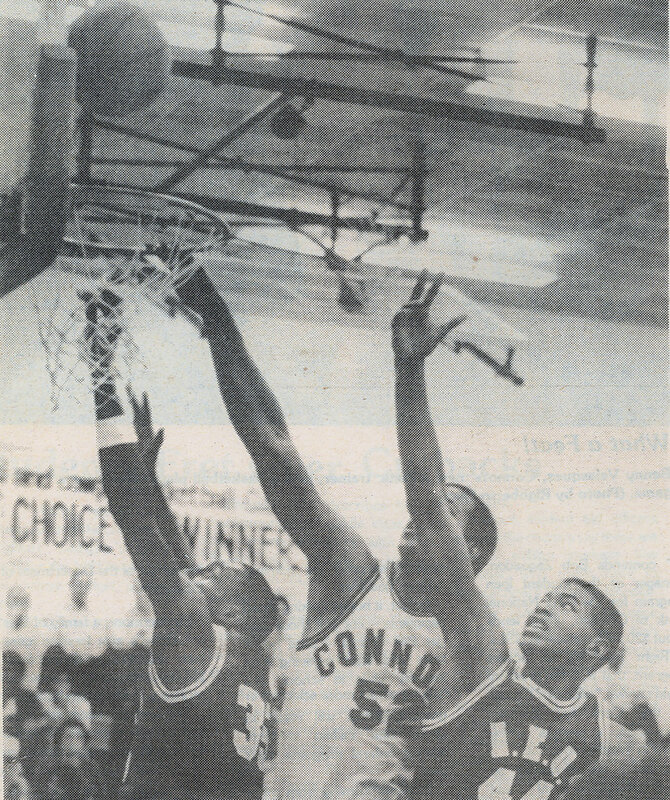 The team placed seventh nationally and produced Connors’ first 1st Team All-American, Clarence Lynch. 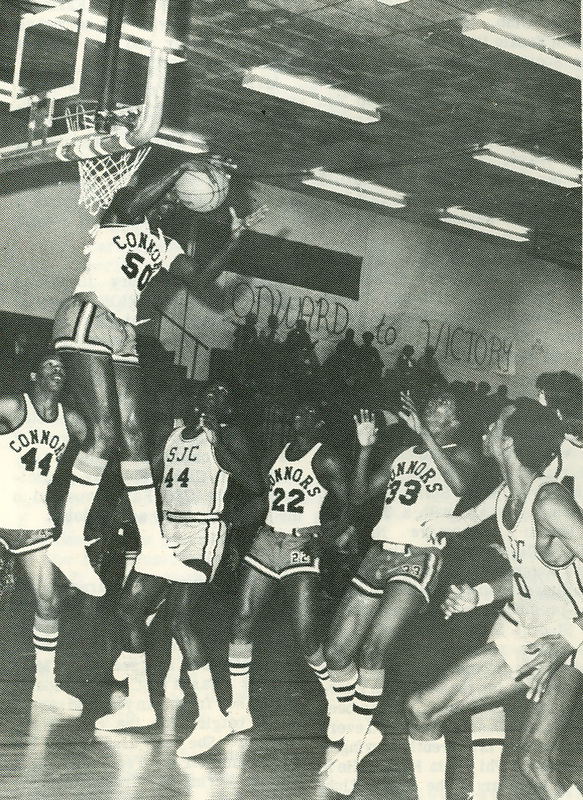 The 1970s produced additional regional championships and national rankings under Head Coach Carl Scott. 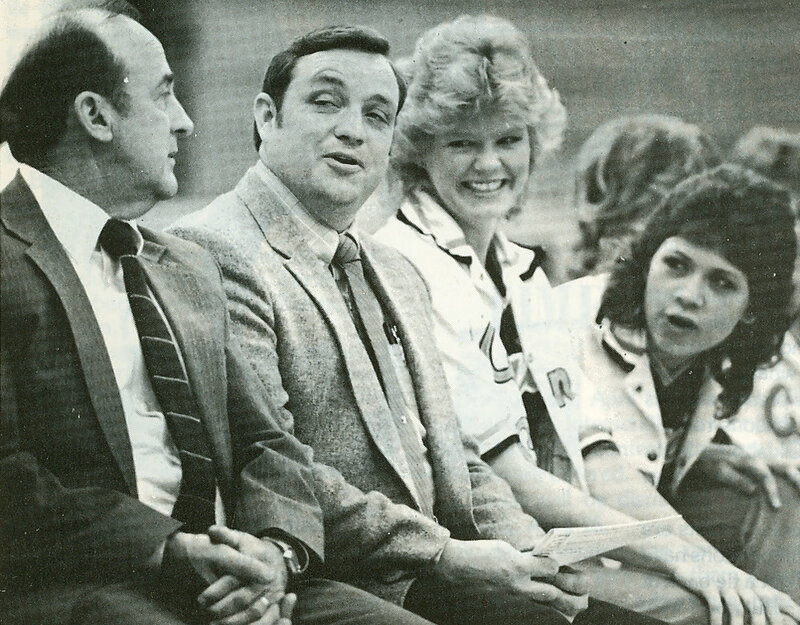 Scott earned his 300th career win in 1977-78. 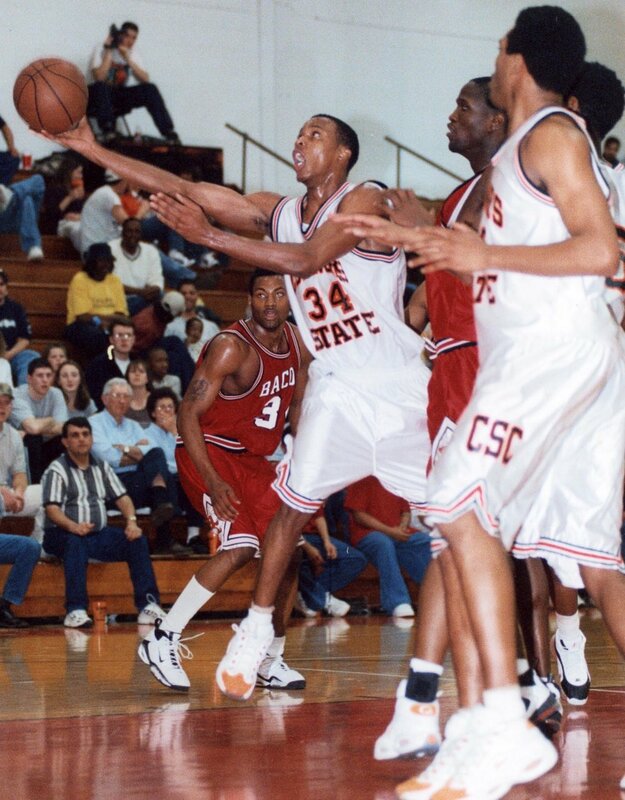 By the end of the decade, the Cowboys had earned a Region II Championship and Eddie Louie became the second basketball player to earn 1st Team All-American honors as well as Region II MVP and Oklahoma Junior College Player of the Year. 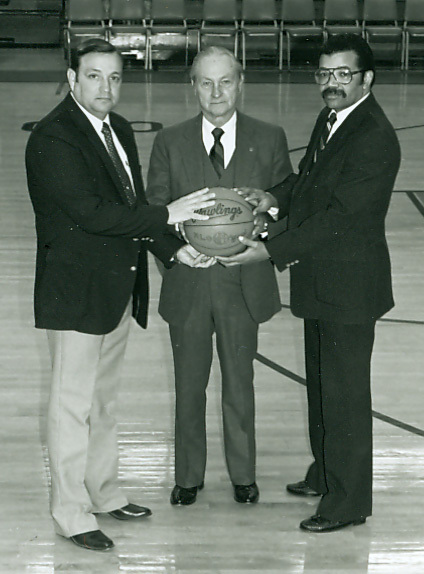 Ed Stepp took the helm as head coach in 1988 and in 1990 his team won the NJCAA Championship title with an overall record of 36-2. 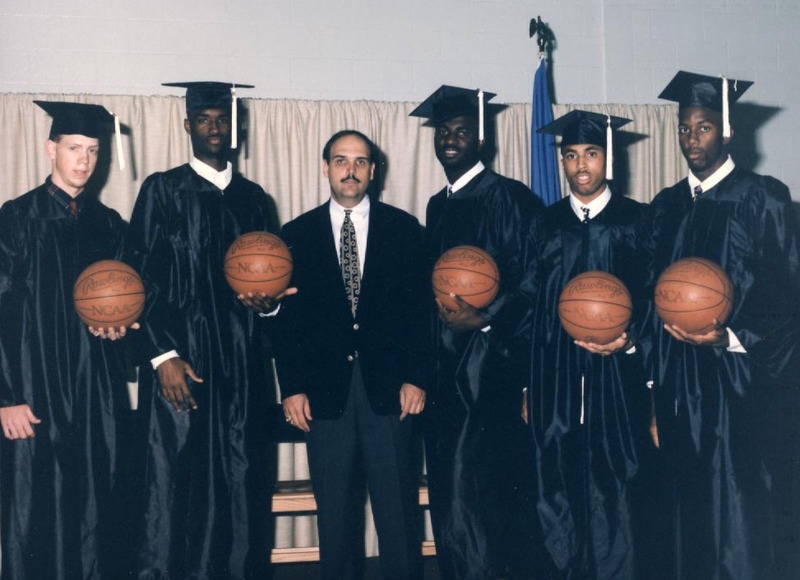 All the players from the team went on to play Division I basketball and the 1990 season produced the largest number of All-Americans in the college’s history. 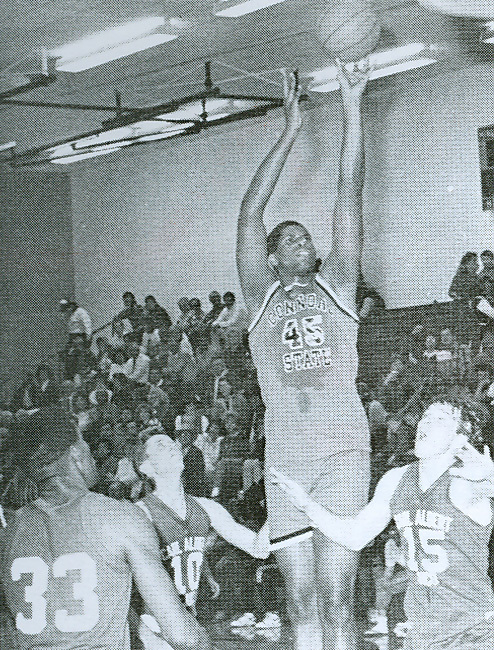 William (Bill) Muse became coach in 1992. 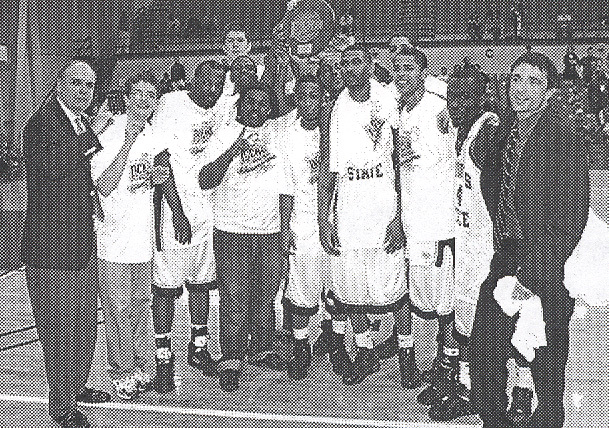 By the mid-1990s, Muse had led teams to four consecutive regional titles and appearances at NJCAA national tourneys earning Region II Coach of the Year honors. By the end of the ’90s, Muse’s record was 189-49. 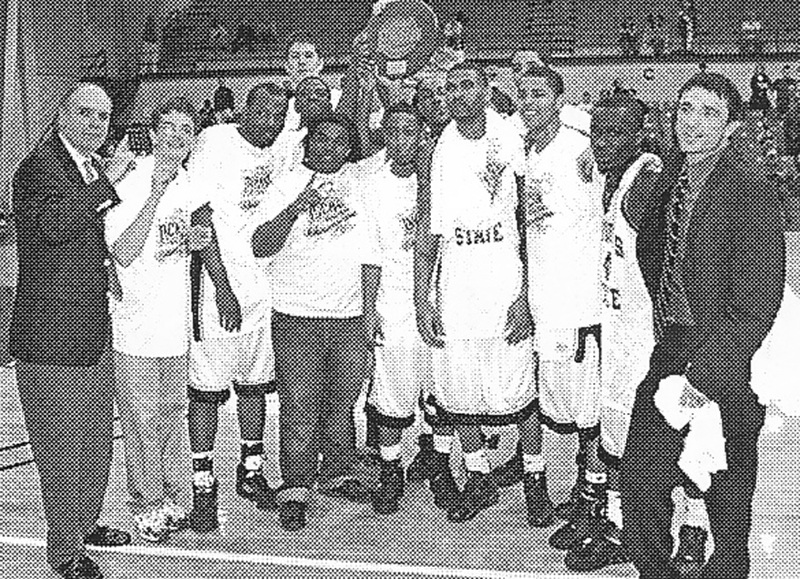 Cowboys earned another regional and conference championship in 2009. 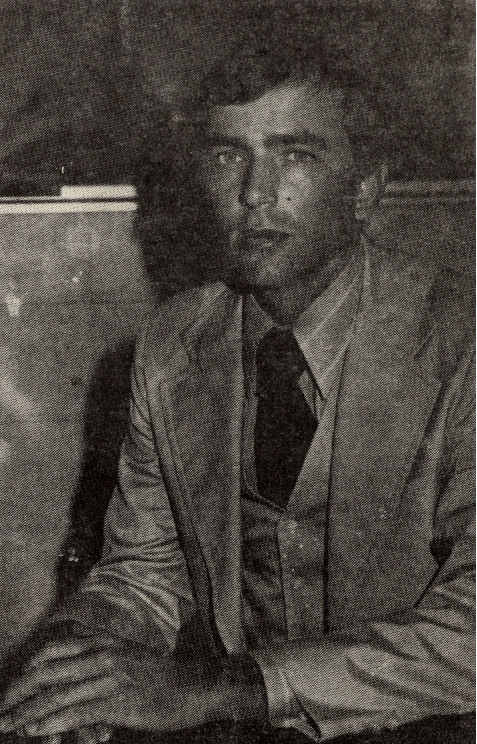 Bobby Jack Rogers coached the Aggies during the early 1950s, winning a conference championship in 1951; and the conference and regional championship in 1952. 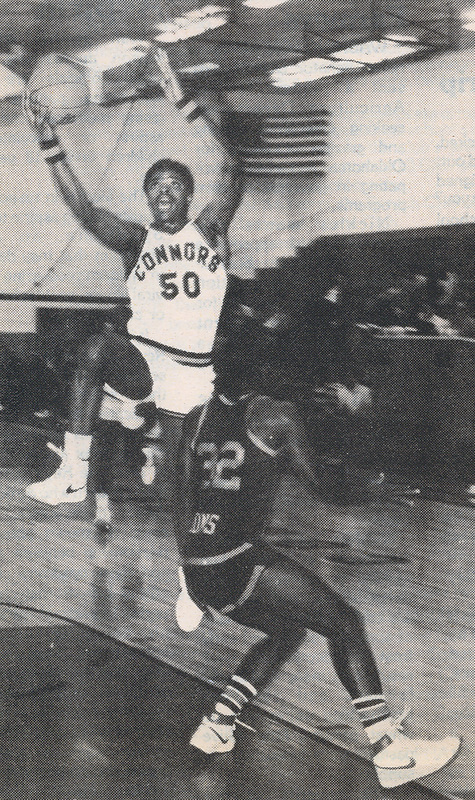 Also under the leadership of Rogers, Connors produced its first 1st Team All-American, Clarence Lynch. 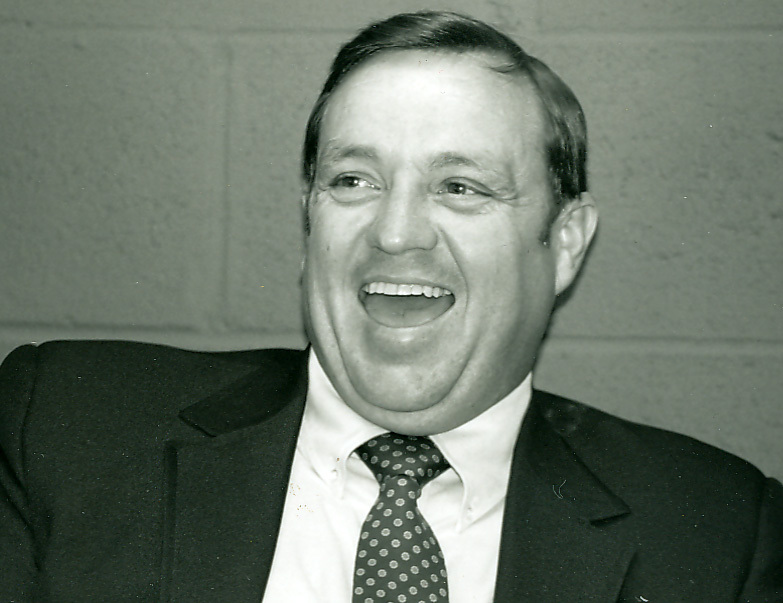 Ed Stepp won the men’s first NJCAA National Championship in 1990, two years after becoming head coach in 1988. 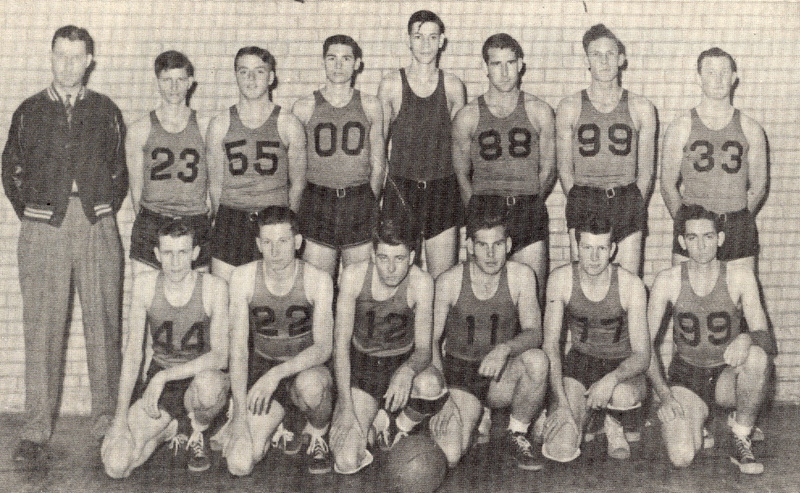 The team’s overall record that year was 36-2. The ’90s also produced the largest group of basketball All-Americans at Connors. 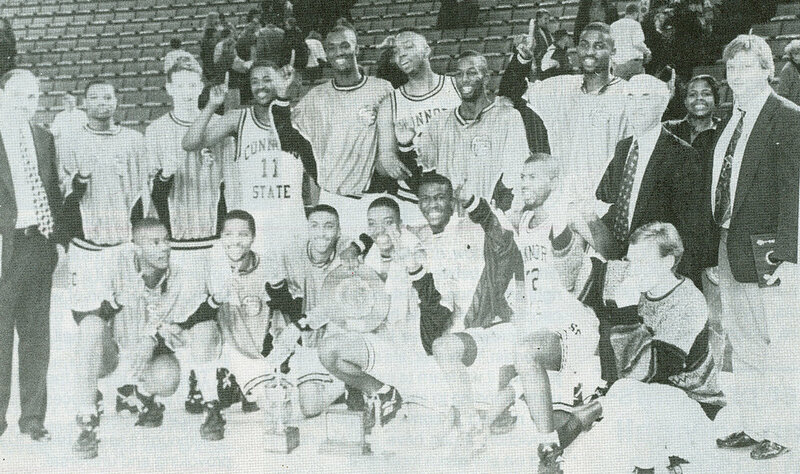 All the players on the championship team went on to play Division I basketball. Bill Muse has led the Cowboys for the last two decades. 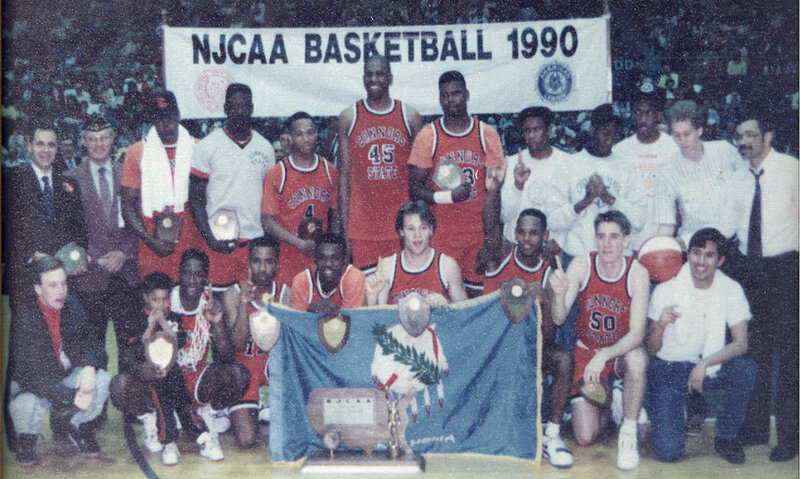 During the 1990s Muse took his team to four consecutive regional titles and appearances at NJCAA national tourneys. 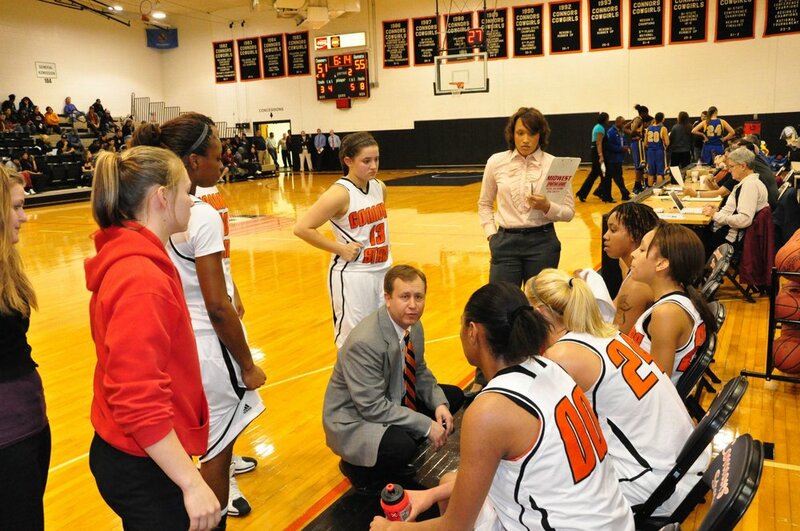 Muse has also earned Region II Coach of the Year honors seven times. 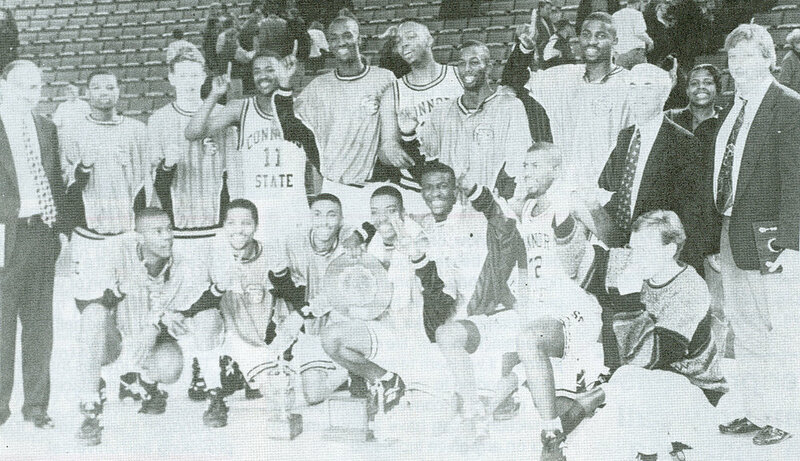 By the end of the 1990s, Muse’s teams had an overall record of 189-49. At the end of the 2012 season, Muse’s record was 461-89. 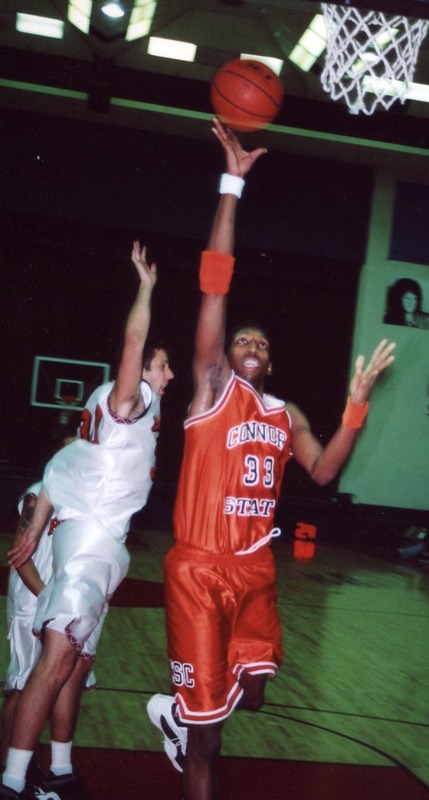 Clarence Lynch’s jersey was retired during the 2005-06 Cowboys basketball season. Lottery pick drafted out of UNLV to the LA Clippers. 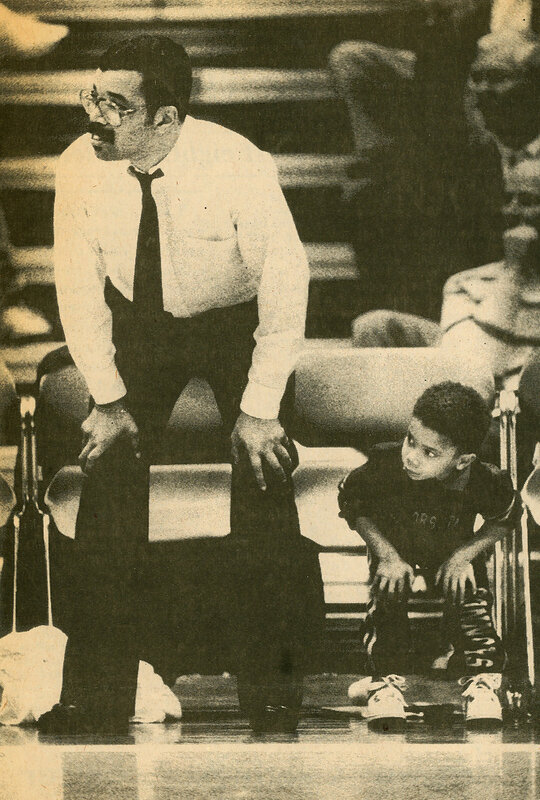 Legendary head coach for University of Illinois & New Mexico State. 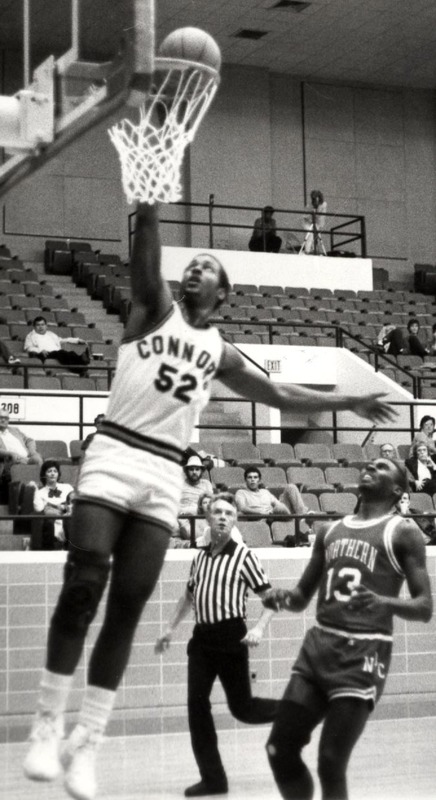 Coached at Connors before taking over as head coach at East Texas State, where he won the NAIA National Championship. He ended his coaching career at Texas A&M. Coaches who dedicated their time and knowledge to our program. 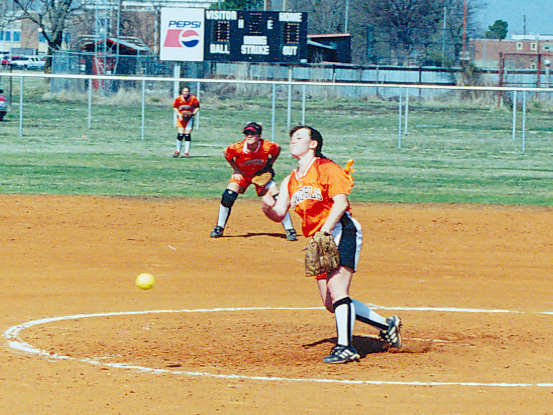 Softball competitively began in 1987; a year after the field was constructed in 1986. 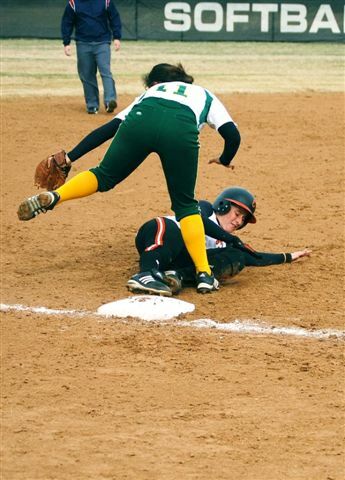 This makes softball the newest collegiate sport on campus to date. 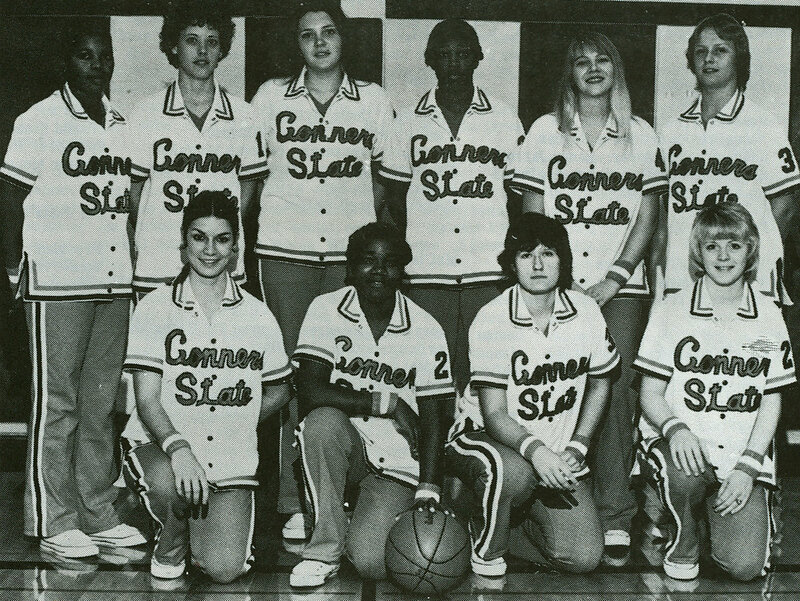 This came 40 years after Connors’ first non-collegiate women’s team was formed in 1947. Clarence Lynch was the first softball coach and he coached the sport until his retirement in 1993. 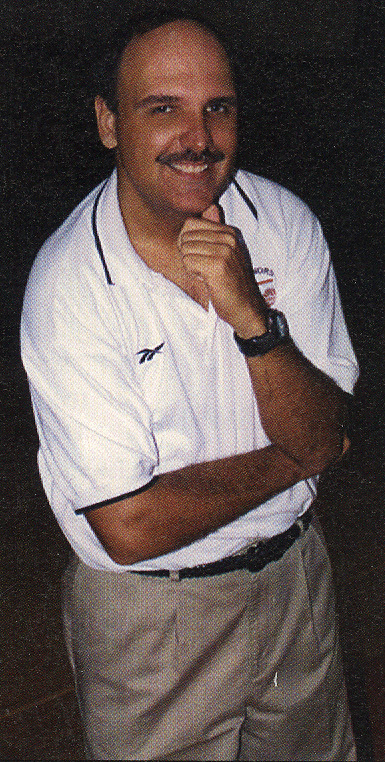 Danny Stone coached the team for two seasons and was followed by John (Rick) Carbone in 1995. 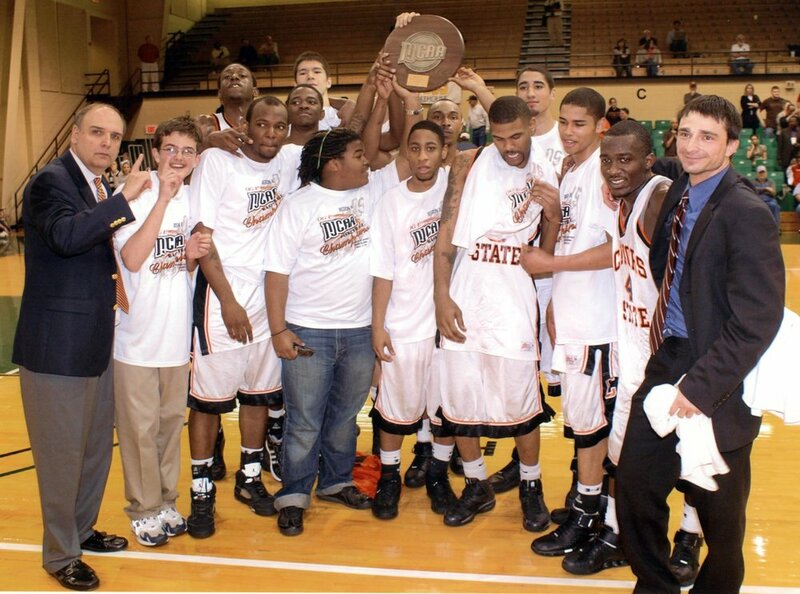 Carbone took his team all the way to a Region II Championship and a fifth place national ranking his first year. 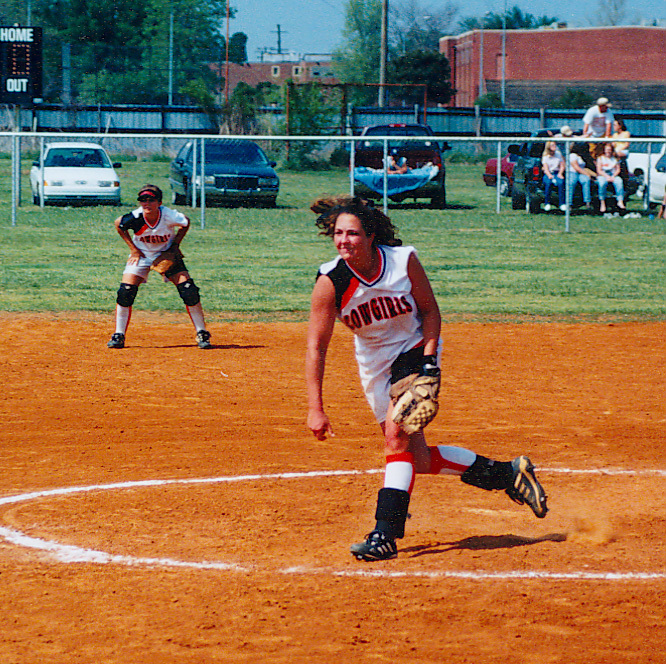 Since 1990, softball has produced seven All-Americans, two Regional Championships and one NJCAA appearance. 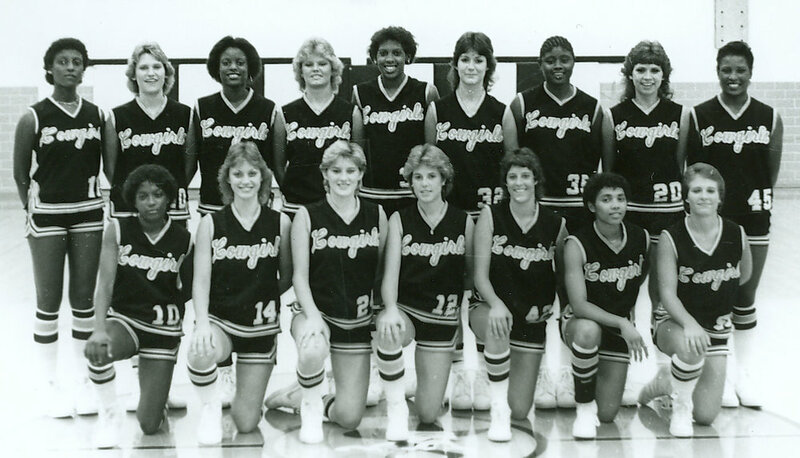 Michelle Taylor: Earned and holds the all-time win record for the Cowgirls with 39 wins in one season. Sammy Swanda: Earned and holds all-time home run record (23), all-time strike out record (412) and all-time RBI record (210). 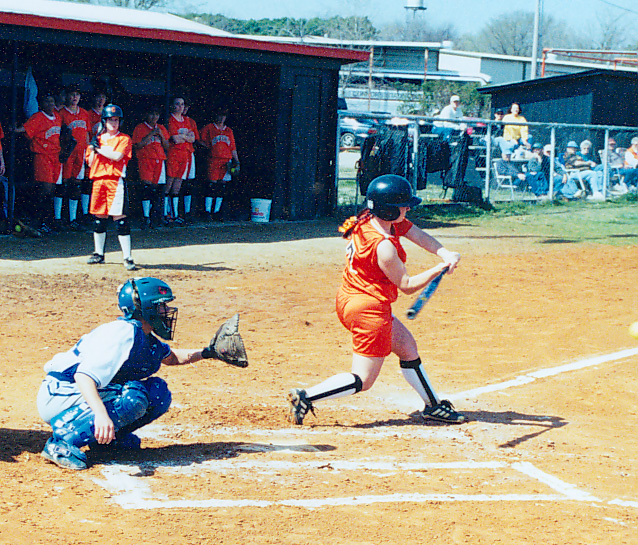 Ashley Grider: Cowgirls all-time leading hitter with a career batting average of .496. 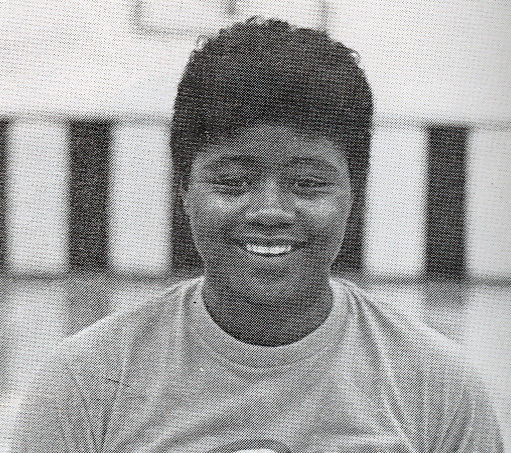 Among numerous other coaching endeavors, Clarence Lynch also started and coached the first collegiate softball program in 1987. Softball began during the tenure of Connors’ 13th president, Dr. Carl O. Westbrook. 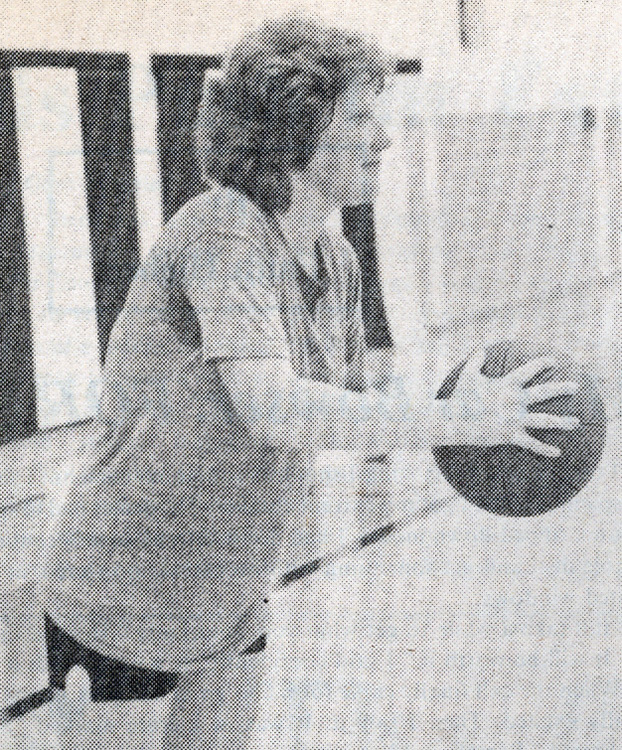 Lynch coached the cowgirls until 1993, claiming a Region II title in 1992-93. Most importantly, Lynch committed more than 30 years to athletic programs at Connors and spent his last six years starting up an elite collegiate softball program. 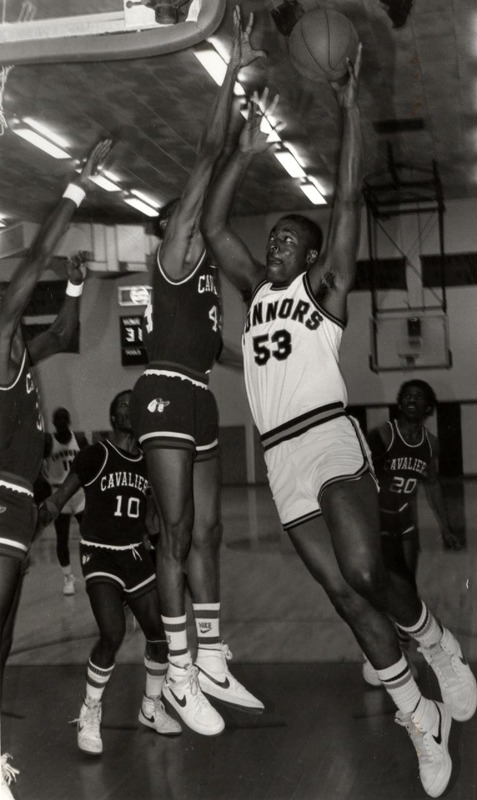 He also served as men’s basketball and tennis coach, Athletic Director and Division Chair of Health/PE. 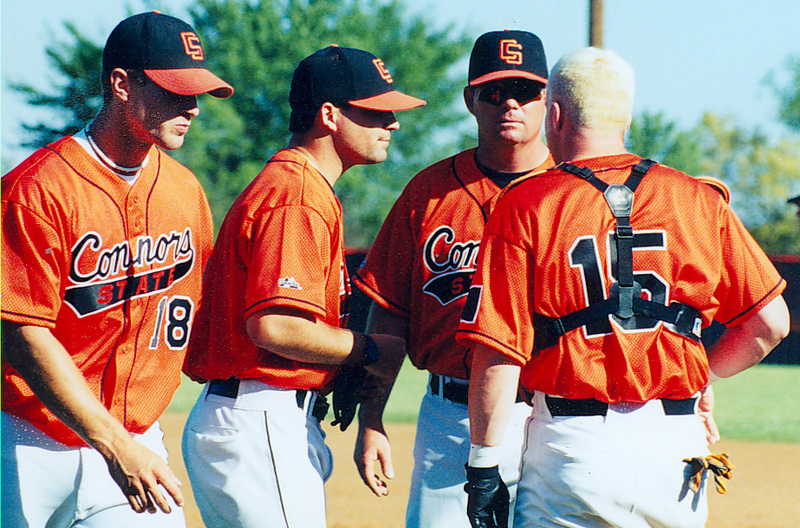 In the mid 1990s, Rick Carbone took over as head coach of the Cowgirls softball team. 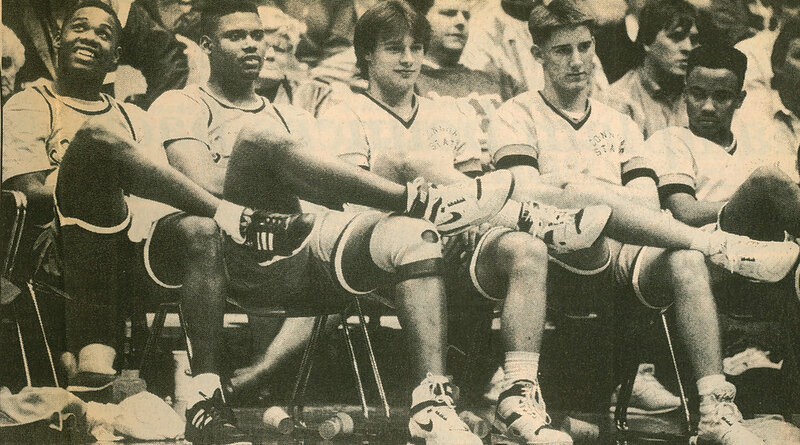 Since that time, Carbone has produced seven All-Americans, two Region II titles, five Region II runner-up titles and placed fifth nationally in 1996. 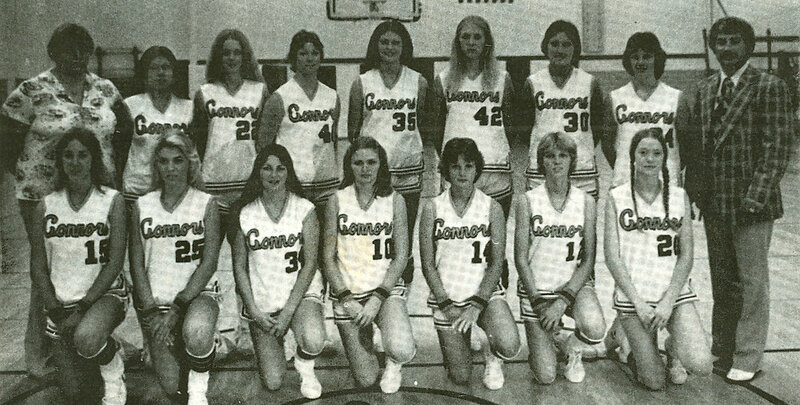 Women’s basketball was played at Connors as early as the 1920s with coaches Burt and Agnes Huckleberry. 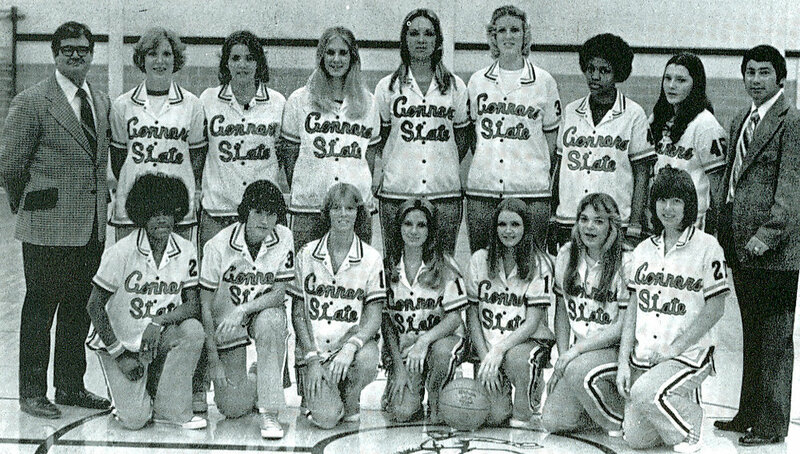 However, until the mid-1970s women’s basketball was considered a physical education activity and not a collegiate sport. 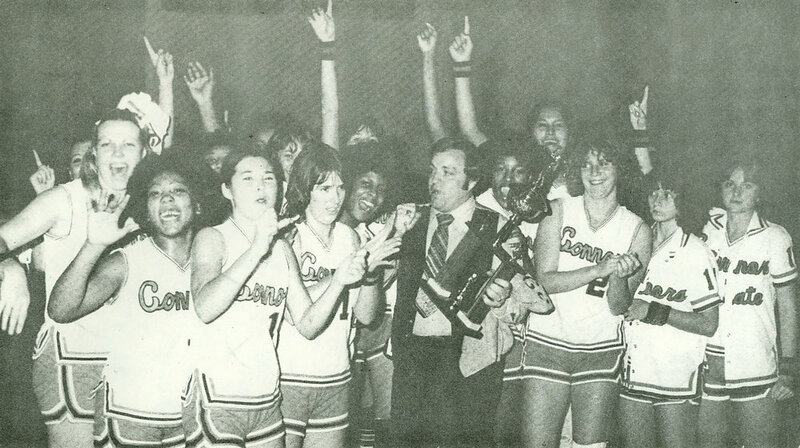 Don Crownover coached the first collegiate women’s team in 1975-76. 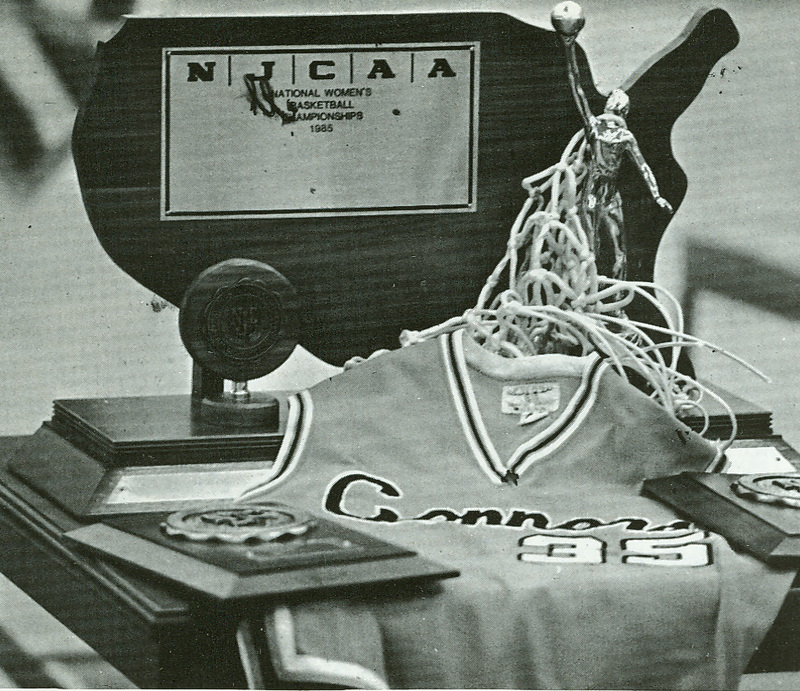 Monte Madewell began his 19-year career at Connors in 1985 and his Cowgirls won Connors’ first NJCAA National Championship title. Eddie Kite began his career with the Cowgirls in 2003. 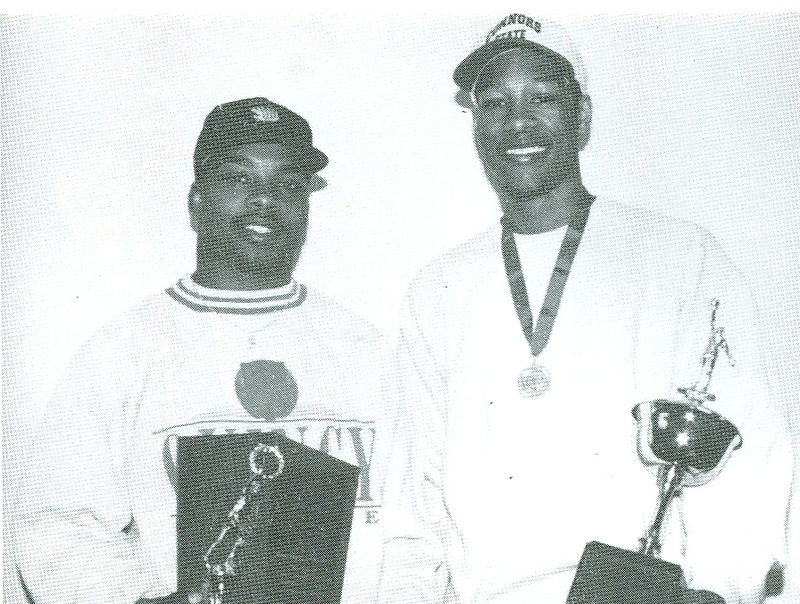 His overall record to date is 174-100, including several trips to regional and national tourneys. 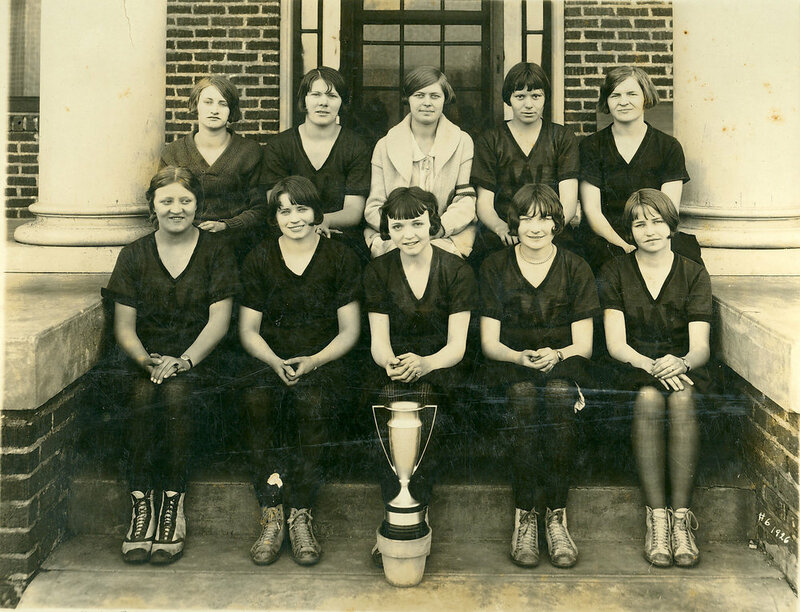 Burt and Agnes Huckleberry are both recorded as having coached women’s teams during the 1920s. 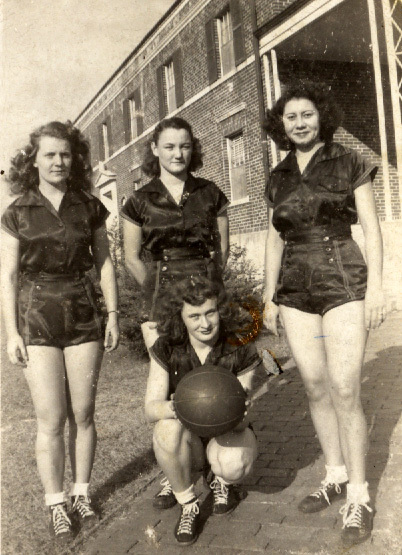 Women’s basketball was a non-collegiate sport until the mid-1970s, but basketball was one of several physical education offerings for women from the 1920s-1970s. 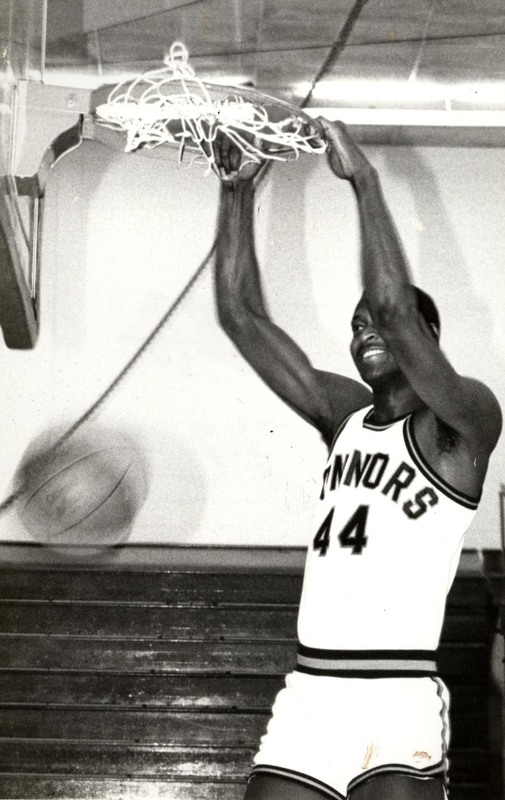 Monte Madewell began his 19-year career at Connors in 1979 and in 1985 his team won Connors’ first NJCAA National Championship Title. 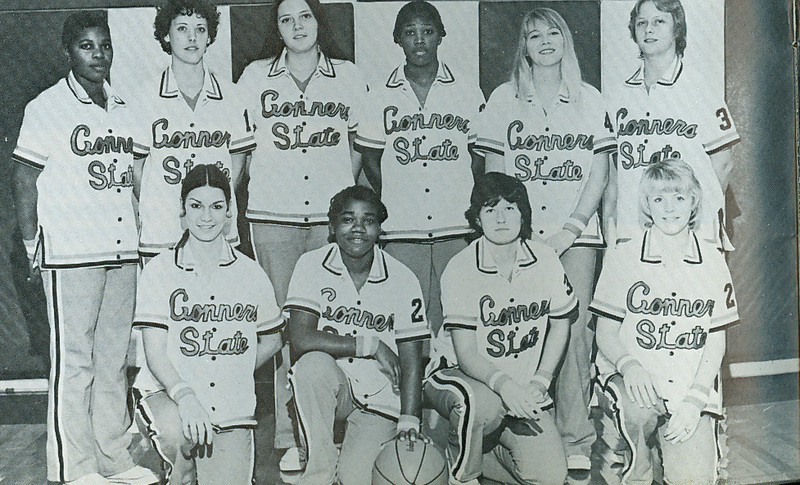 All-American players, Kim Davis and Rhonda Smith were coached by Madewell and are two of the most decorated women’s basketball players in college history. 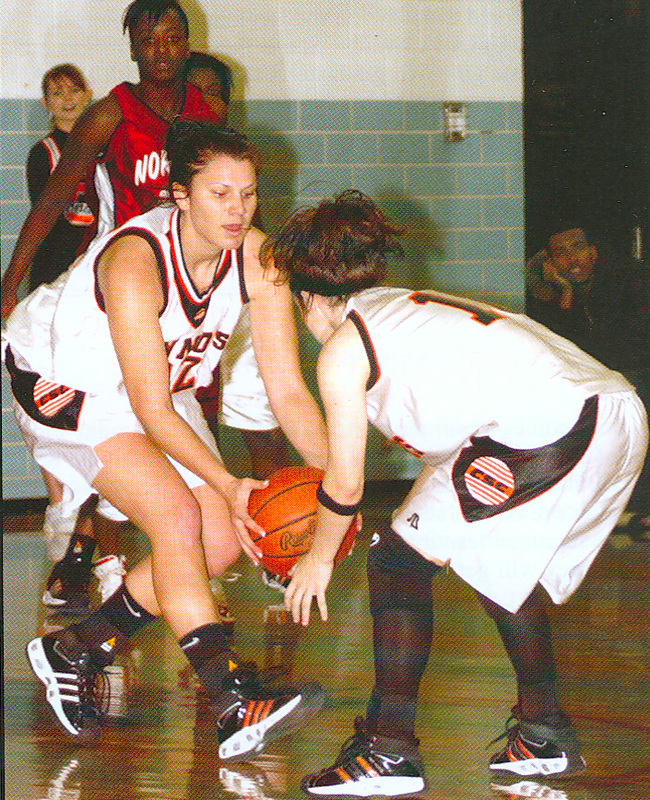 Eddie Kite took the lead of the Cowgirls basketball program in 2003. In nearly a decade of coaching, Kite has produced one 2nd Team All-American, one OCAC Player of the Year, an Academic All- American, and four 1st Team All-Conference student athletes. 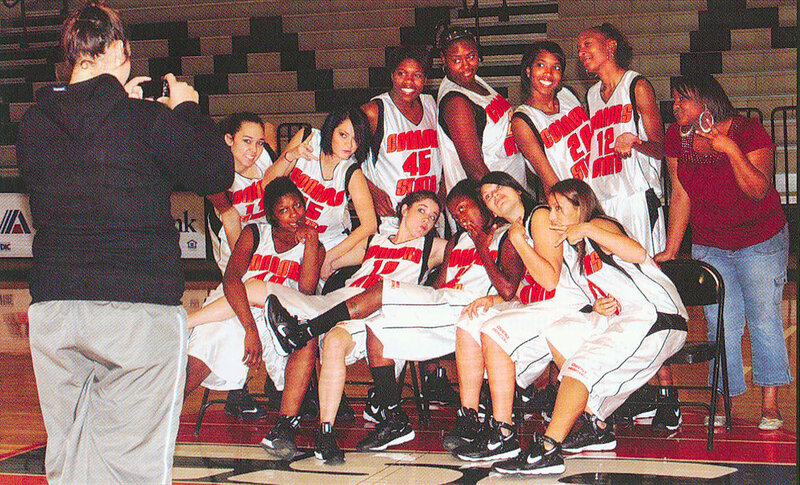 The Cowgirls won the Region II championship in 2009 and appeared at the NJCAA National Tournament. Kite has been named Coach of the Year twice- Bi-State and Region II in 2009 and OCAC in 2011. Interim Head Coach Jamie Fisher is entering his fourth year on the Cowgirl bench. 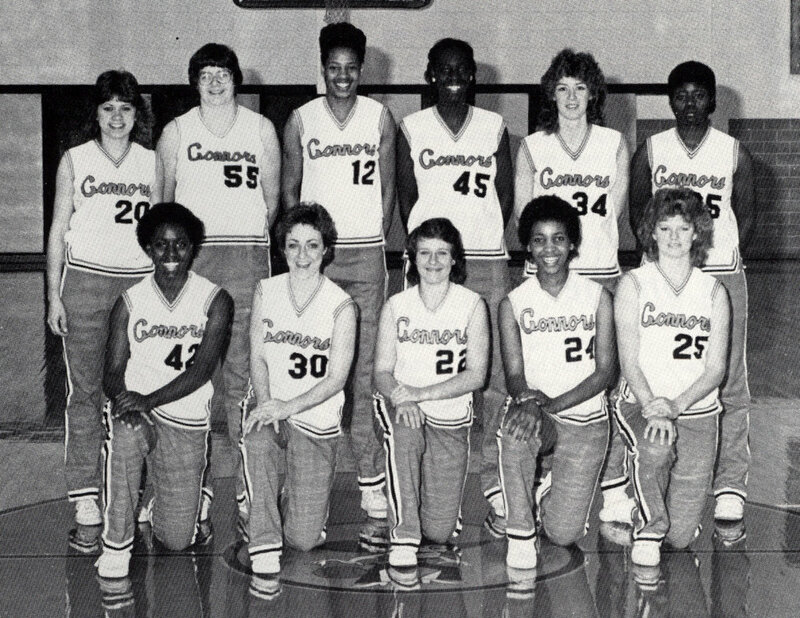 In Fisher’s first season on the Cowgirl staff the Cowgirls finished with a record of 16-14. The Cowgirls finished the 2012-2013 season in the seventh in the country in scoring offense and first in the conference averaging 77 points a game. Fisher’s primary duties are recruiting, scouting, academics, and working with the Cowgirl backcourt. 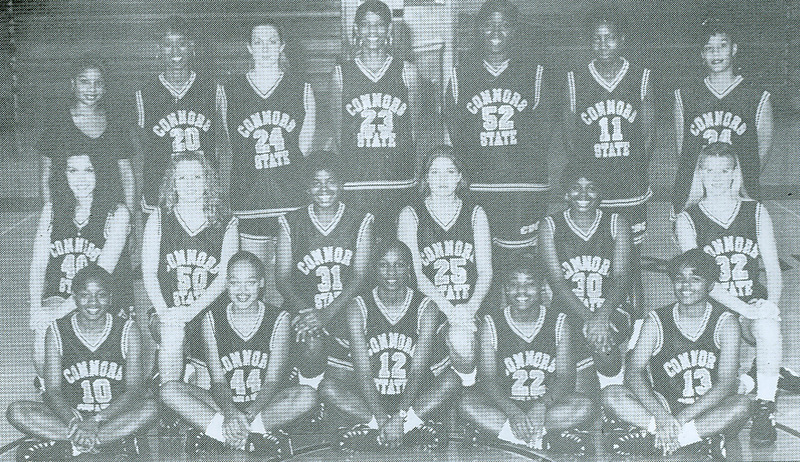 First women’s basketball player to earn First Team All-American honors at Connors State College. (1982). 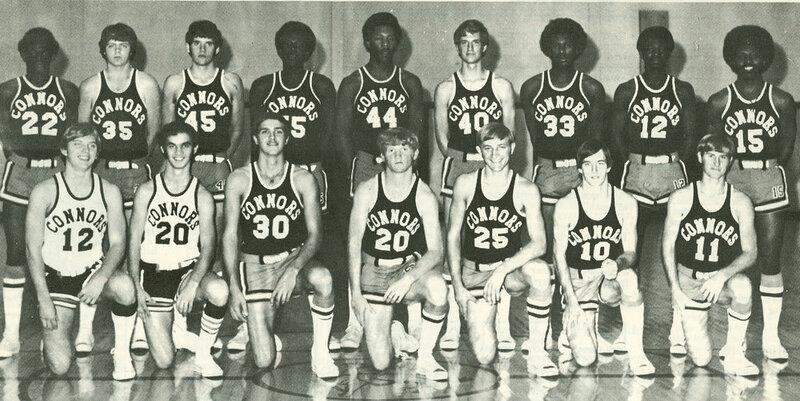 Member of the State and Regional Championship teams, 1981-82. 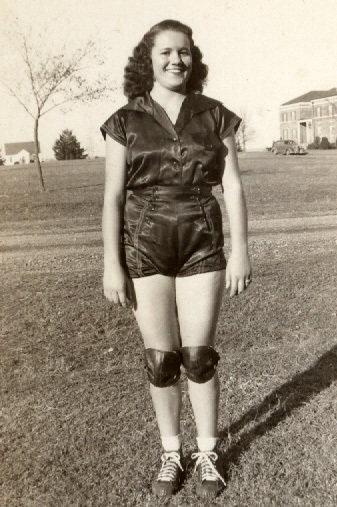 She was also a Finalist for the Wade Trophy during her career at the University of Florida. 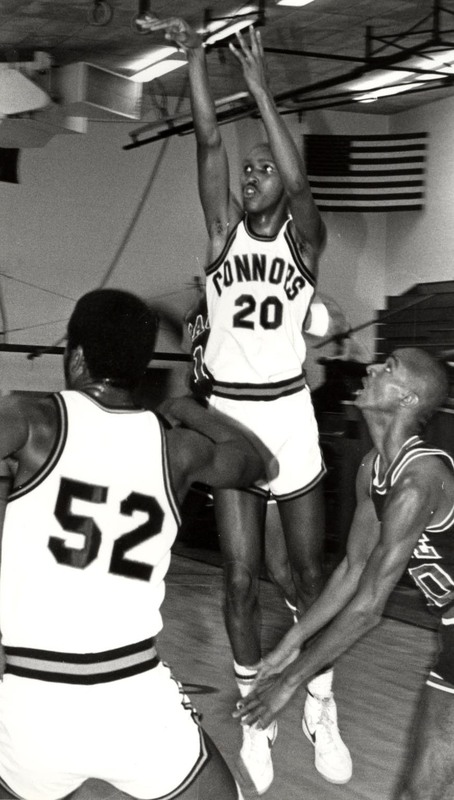 Two-time, First Team All-American (1984,1985). 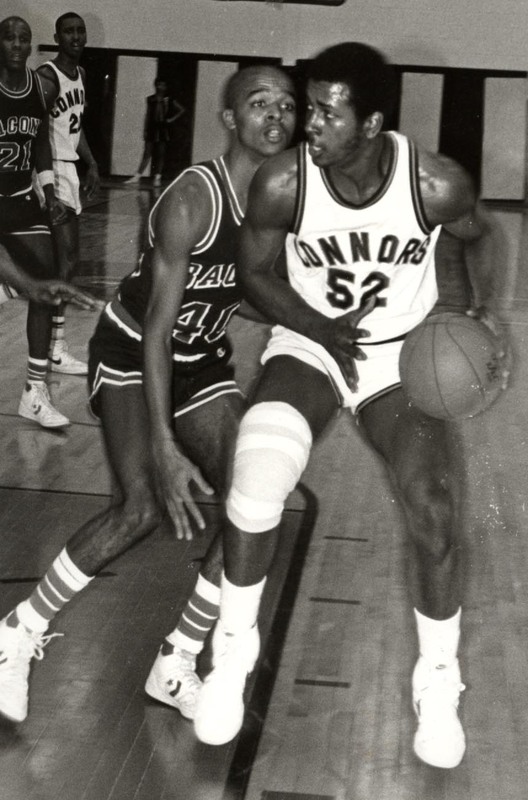 Champion NJCAA Player of the Year (1985). 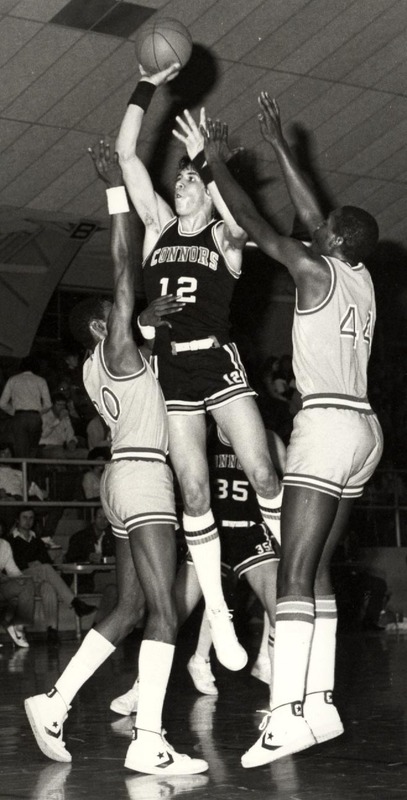 Smith became a First Team All-American and a NAIA National Champion while playing at Southwestern Oklahoma State University. 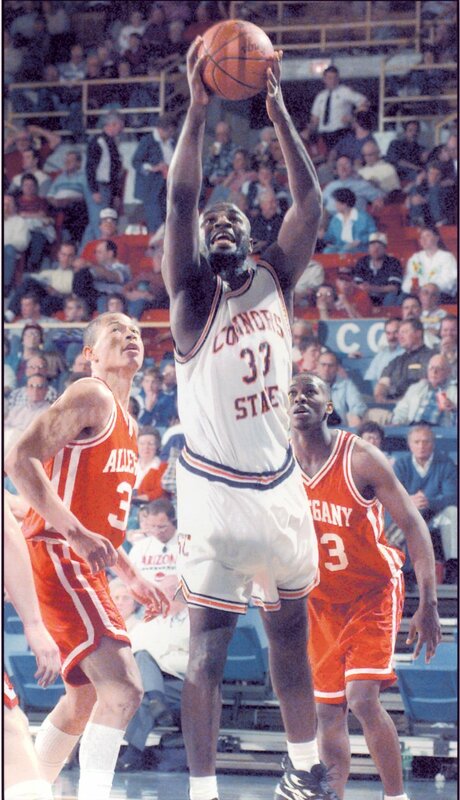 Two-time, First Team All-American (1996, 1997). 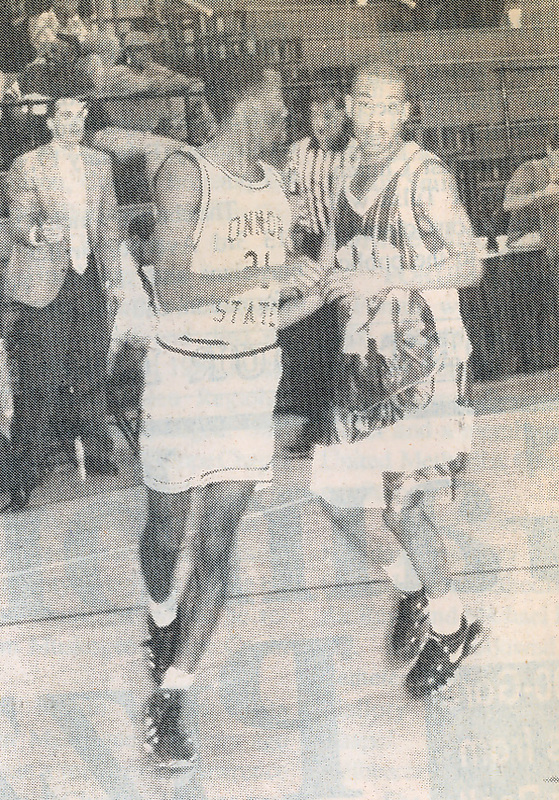 Rawlings NJCAA Player of the Year (1997). 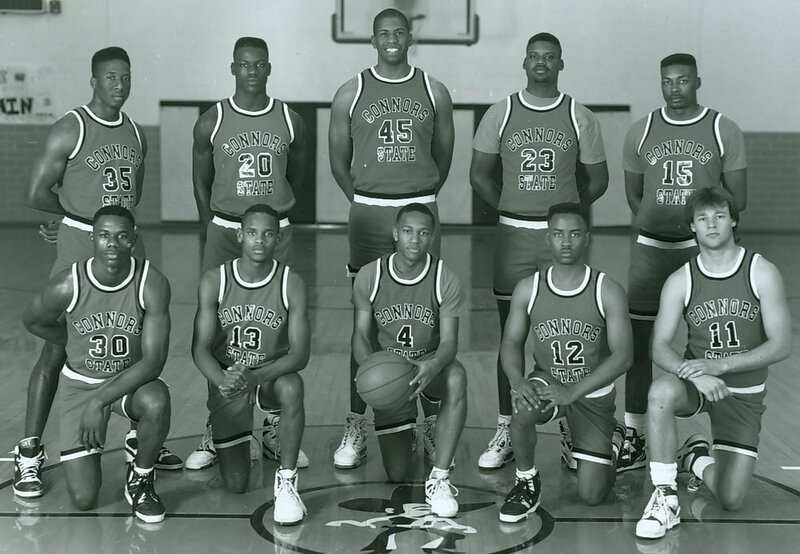 Started for University of Arkansas 1998 NCAA Final Four Team. Baseball records show that teams were organized as early as 1915 but the first coach pictured with a team was Burt Huckleberry in the 1920s. 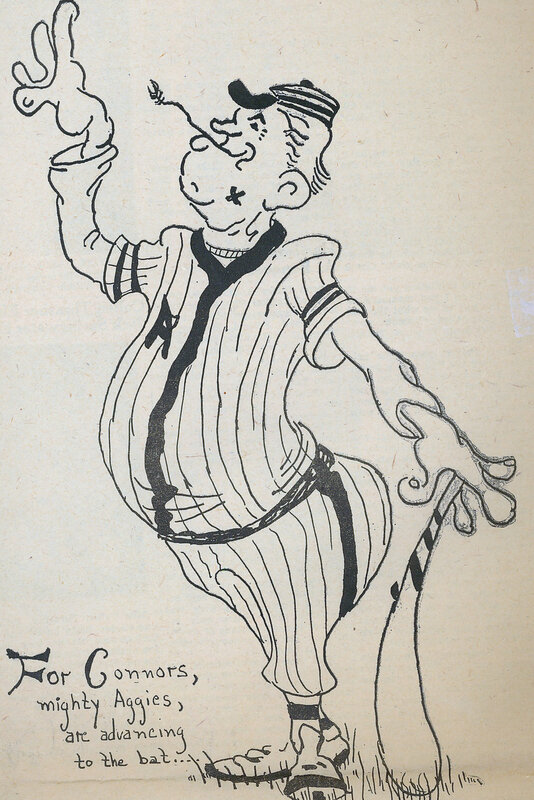 Baseball teams were fielded irregularly until the late 1950s when coach Harry Jackson came on board. 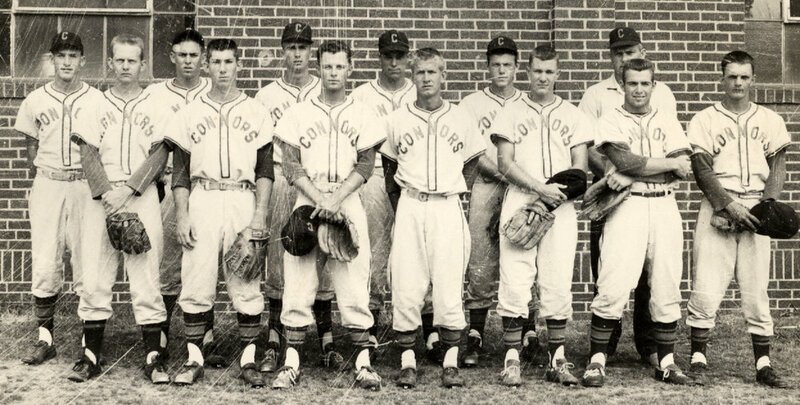 The Aggies came in second in JUCO and went on to win Regionals in Grand Junction, CO, in the 1962-63 season. 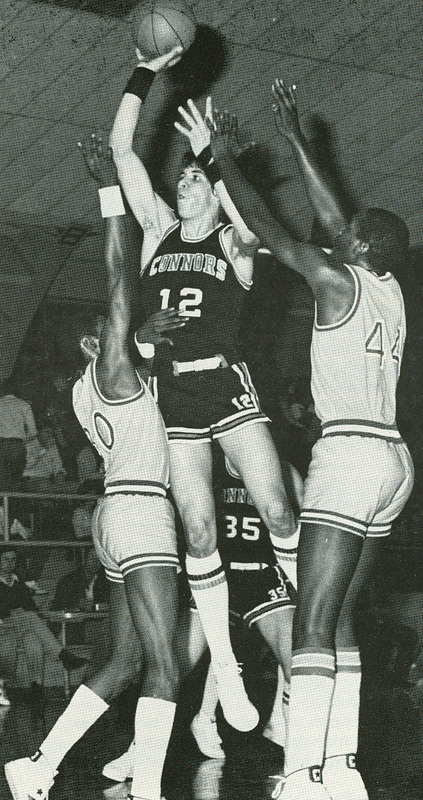 During the 1968-69 season, the Cowboys earned Conference Champion honors under Head Coach Don Crownover. 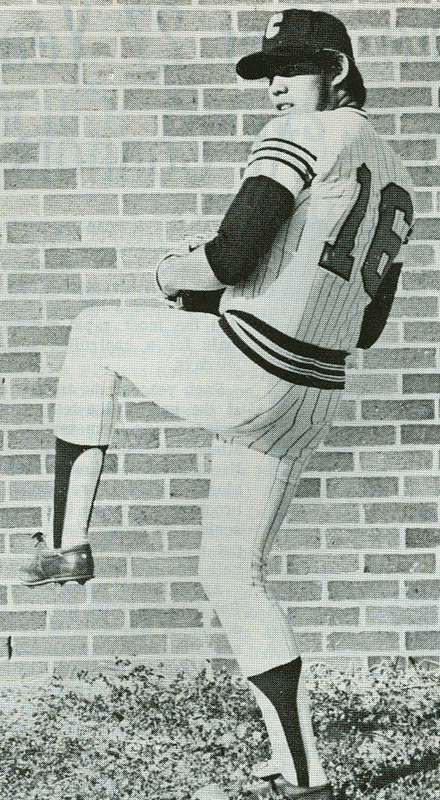 Under coach Don Crownover the baseball team attended both regional and national play in 1970-71. 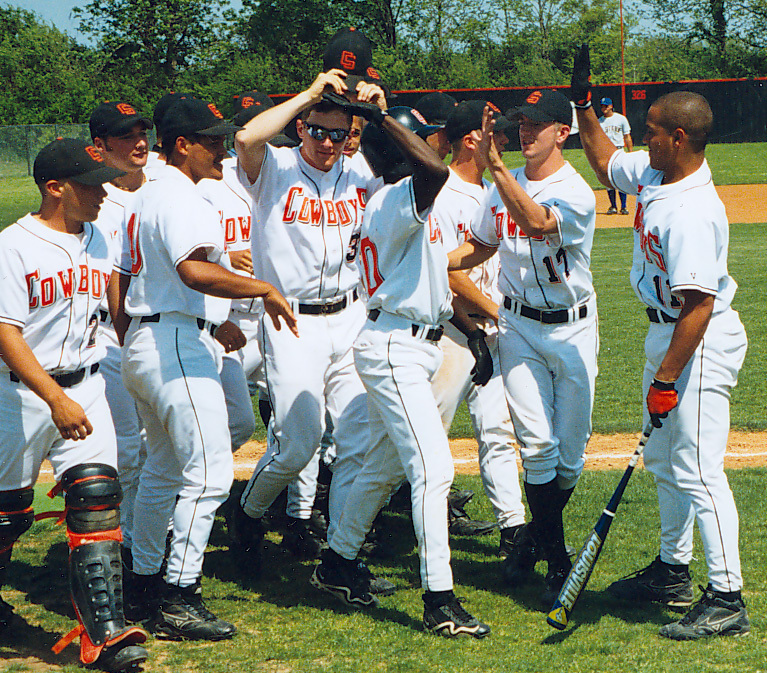 That same year Mark Calvert became Connors’ first baseball 1st Team All-American. Baseball Hall of Fame and his #7 jersey retired in 2008. In 2012 Keith surpassed 1,300 wins with an overall career record of 1322-388 to date. In his tenure as baseball coach, Keith has produced 28 All- Americans, 13 Conference Championships, four Junior College World Series appearances and has coached over 90 drafted baseball players, ten of whom have played in the Major Leagues. 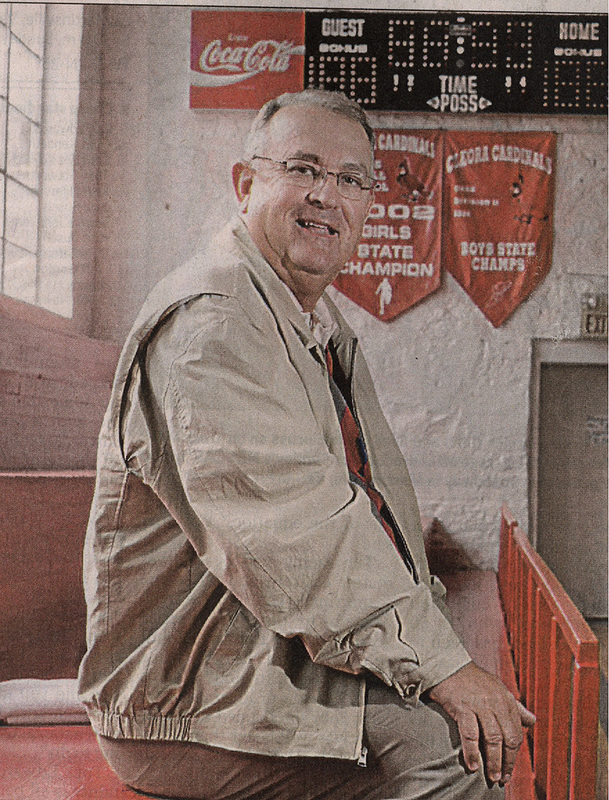 Don Crownover began his coaching career at Connors as an assistant football coach before taking over as head baseball coach in 1967. 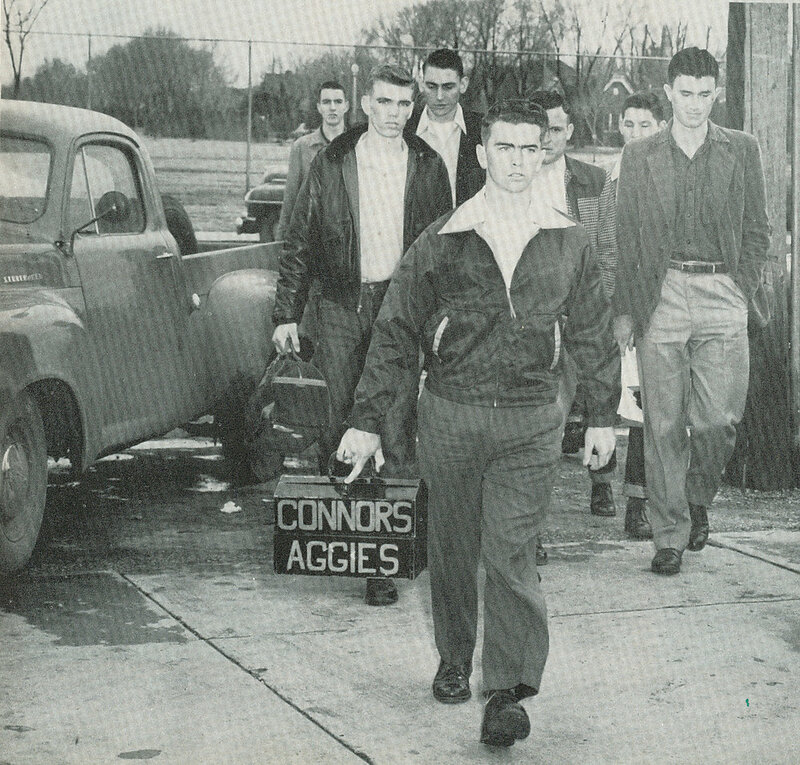 In 1968, the Aggies were 6-0 and OK JUCO Conference champions. 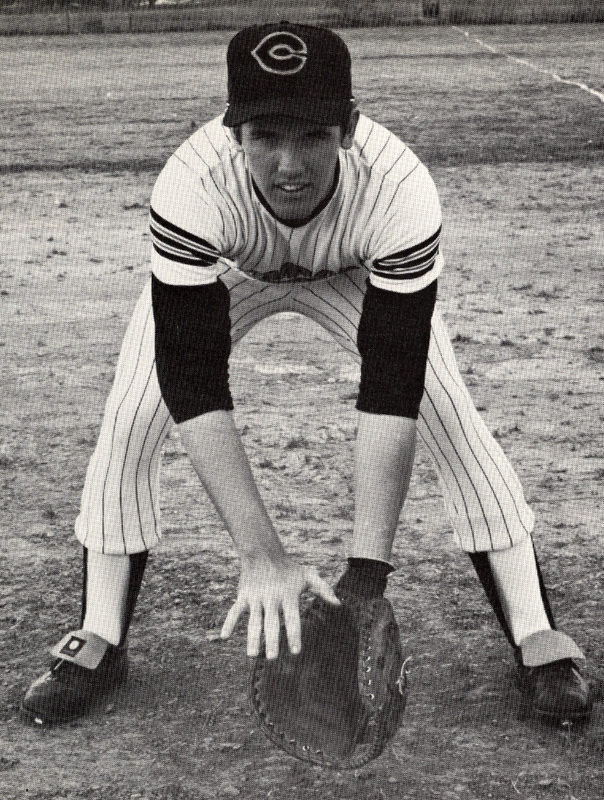 Throughout the next several years, the Aggies attended Regional and National Tournaments in Grand Junction, CO. Coach Crownover also produced numerous All-Americans, including baseball’s first 1st Team All American, Mark Calvert. Series appearances, six Region II Championships, more than 100 players drafted in the Major League Draft and a record that surpasses 1,300 wins in 2012. Coach Keith is the youngest coach in college baseball history to win 1000 games, achieving this on April 15, 2004 at the age of 42. 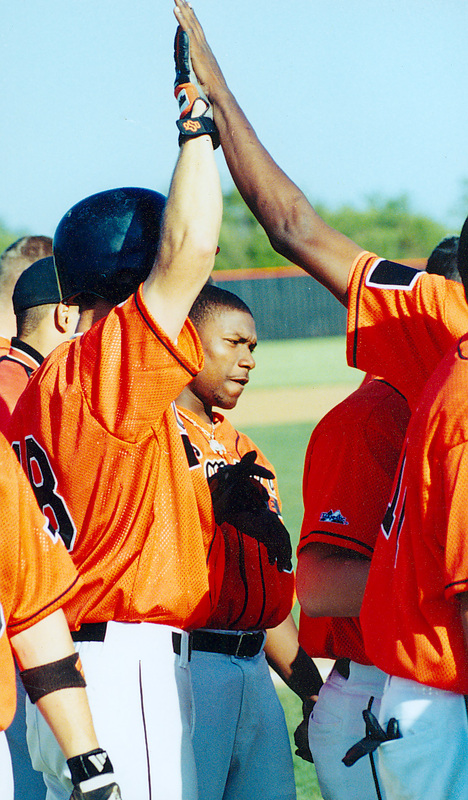 Coach Keith was inducted into the NJCAA Baseball Hall of Fame in May 2008.